911uk.com - Porsche Forum : View topic - Help on color combination choice? 911uk.com Forum Index > 991 (2011 - current) > Help on color combination choice? Posted: Tue Aug 30, 2011 4:57 am Post subject: Help on color combination choice? I had placed an order for the 991 already so it is time to think about the color combination. I had a great looking black car, but NEVER EVER again. It is impossible to keep clean. Not big on red, silver, and the lime gold. I would consider white, the blue from the German catalogue, or one of those new grays. I’ve been to the showroom recently; the 997 left in my local dealer are GTS and cabriolet are both white with black leather interior and look stunning. However, since earlier 90” all the cars I own are black interior, I preferred to make some change this time. I am nor sure about the white with beige since not seeing much of this combination. The blue from the German catalogue with beige interior looks also beauty, is it dark blue or aqua blue? Although the beige interior looks more elegance, it will looks like 20 years old after just 2 years of use concern me. so what is everyones thoughts on this? If it were my money, I'd leave the grey and beige leather alone too. Posted: Tue Aug 30, 2011 8:04 am Post subject: Re: Help on color combination choice? I think Agate Grey or Dark Blue metallic exterior with Carrera S wheels would be nice. I would go with a black interior, but since you don't want that, maybe try a black and grey/ beige leather combo. I would also avoid very light interior shades as maintenance could be a pain. The car in the header of this site right now looks nice too (Dark Blue Metallic with Carrera Classic wheels). 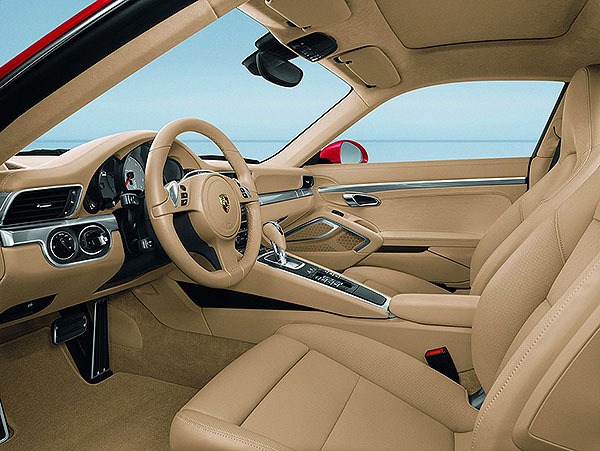 Unless there's been a massive quality change with the new models, Porsche interior leather quality is a long way from that of say Ferrari, if you venture from black..
Silver or grey is a no-brainer match for best residuals for the exterior.. I chose Dark blue metallic with blue and black trim for my 997 gen 2 Turbo and it does look good and very subtle. 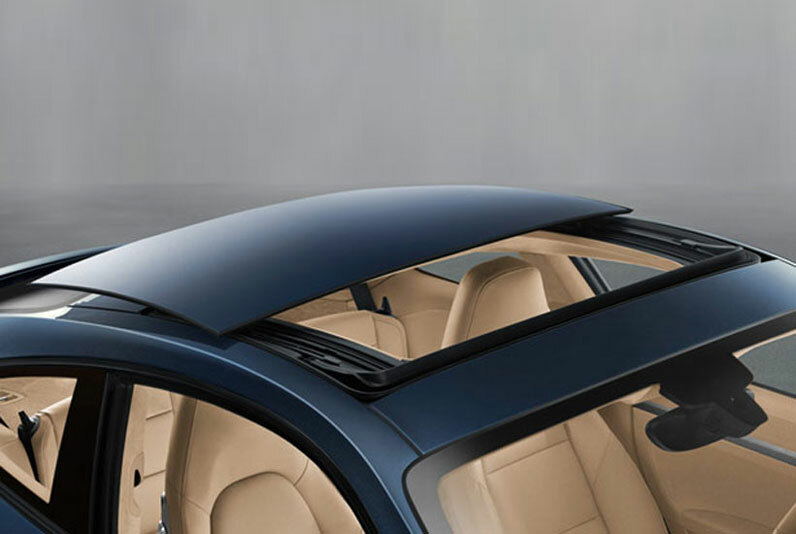 Dark blue with beige trim would be a very good combo with the beige giving a very spacious feel to the cabin. It does seem that on the second hand market anything with any other colour than black or grey interior hangs about a little longer, you would have thought that may not happen on the 991 for a couple of years. Choose what you like and be happy with it, or choose what you think will give you the best residual. 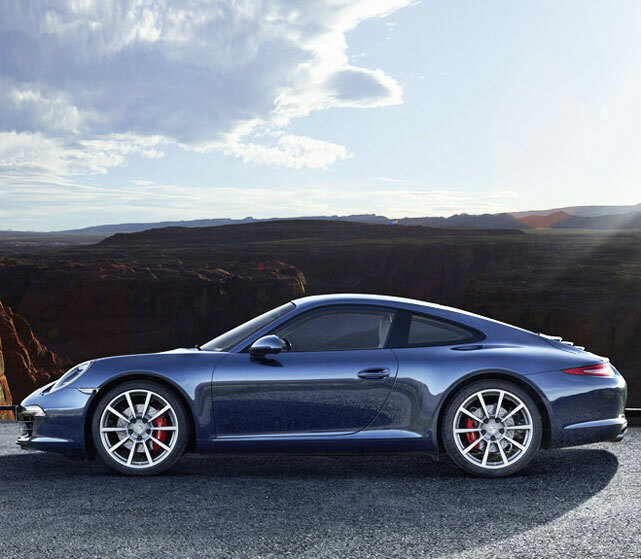 Does the 991 need any more of a senseof spaciousness? 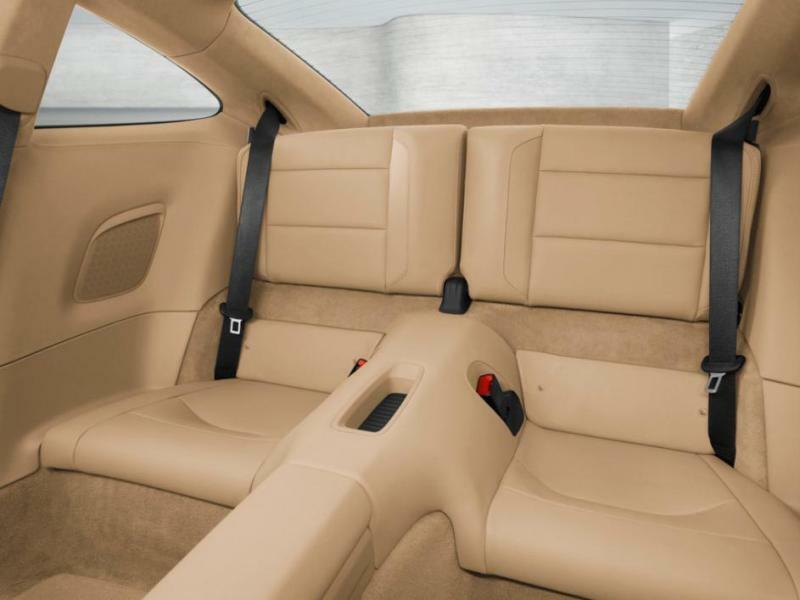 I mean that seriously, as I would prefer a more compact, more cosseting feeling cabin. 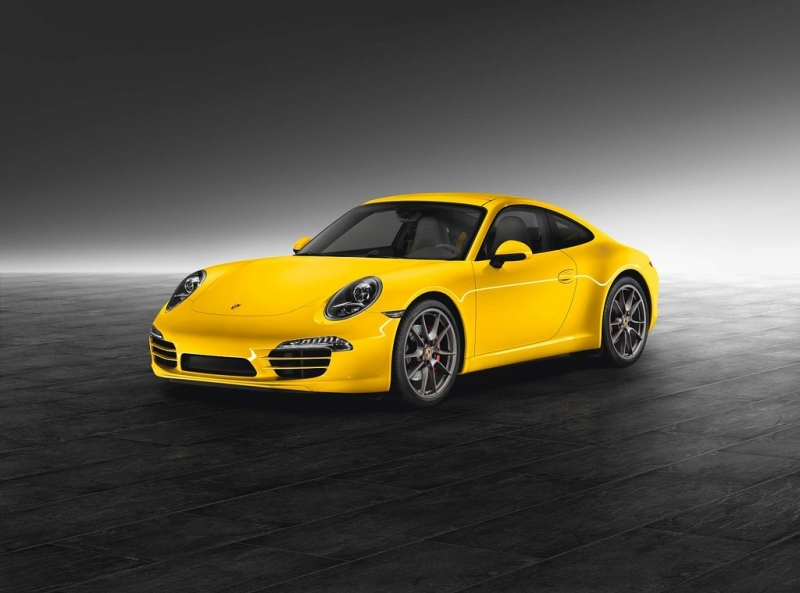 I have also just placed my order for the new 991 C2S. I currently own a 997 C4S in Seal Grey with Black leather. I like the new grey and would probably have gone with that, but I feel I need a change. I am currently thinking of Dark Blue metallic withy grey leather (don't think I can live with beige). Any thoughts on this combo? @waldorfsalad, your combo seems to be the one on that same thread - seems to work quite well, wouldn't you say? Thanks pratas, but now having also seen the new video of what looks like an aqua blue car on the steet I am now not sure which blue to go for. For an everyday car Black leather is the way to go. I had Slate Grey with Natural Brown on my turbo, looked great. But I did get a little bored of the Slate Grey, was easy to look after, but you never got that shine you get from a Black. Personally find Grey leather dirty and depressing looking. I'm torn between the two Blue's and Black on the 991. But will get a black leather for sure ! Thanks pratas, but now having also seen the new video of what looks like an aqua blue car on the street I am now not sure which blue to go for. As far as I know, there are only two blues. Post the video and we'll vote, at least? I think the darker blue (Dark Blue Metallic) is a good call. Only two blues offered (beware the studio photos pasted into "reality"). Posted: Wed Aug 31, 2011 2:27 am Post subject: Re: Help on color combination choice? Dark blue with beige from the German catalogue looks super. I were just concerned about beige's ability to look good over the long haul. Dark Blue seems to be on the top list at this moment. GT Silver I hope .. Your blue car problem was down too not waxing it often enough, as simple as that. Sounds like spec that would work on the new 911. As a new owner of an Aqua blue GTS I can vouch for the colour, it's been very well received but it does 'shout' a bit, however I was bored with black and silver. The only word of caution is that when I discussed this with an 'impartial' OPC dealer principal, he referred to midnight blue as 'doom blue', apparently they find dark blue 911's difficult to shift.